There is infinitely more to Omaha attorney James Martin Davis than most people know. On the surface, Davis is able to sit comfortably in his Farnam St. office as one of the best criminal attorneys in the Midwest, having won the most criminal cases in Nebraska. However, once probed for a glimpse into his life, it’s clear he’s experienced more than several men of his age put together. He knew becoming a lawyer was his calling from a young age. Davis spent three years working as a Secret Service agent, which took him everywhere from the White House to Chicago. One day he’d be protecting the President of the United States, the First Lady or Secretary of State Henry Kissinger, and the next, posing as a Mafioso named “Jimmy D” to bust counterfeit operations. He survived combat in the Vietnam War then powered through quintuple bypass surgery, a heart attack, and the untimely death of his only son. What makes Davis so successful comes down to a very simple philosophy: he works for the people. While Davis has always lived an adrenaline-charged existence, ultimately having a family pulled him back a little. He recalls a funny incident when he was still working as a Secret Service agent in Chicago, which involved his wife, Polo. Ironically, the day their daughter Tori was born, that particular case was the front page of The Chicago Daily News. Although he no longer works in the exciting world of the Secret Service, his life is anything but dull. This year he represented former Bellevue Police Chief John Stacey and former local news broadcaster Michael Scott, which were two high-profile cases. He took both of them to a jury and got a not guilty verdict on both counts. He has been listed as a “Super Lawyer,” which is a rating system that recognizes attorneys who have attained a high-degree of peer recognition and professional achievement. 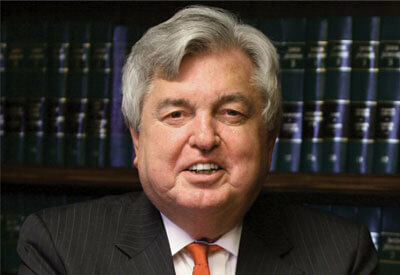 He’s ranked among The Top 100 Lawyers and a member of the Martindale-Hubbell Bar Register of Preeminent Lawyers. However, it’s the local recognition he appreciates the most. “ This recognition is more important to me than the others,” he says. “While those three are important to me, the recognition I am getting through the Reader is a lot more gratifying than the recognition I get from my peers.